i recently wrote a guest post for The Makeup Girl sharing some tips on how Johnson's Baby Products can help you in your every day routine. they are the ultimate in product value - inexpensive, effective and accessible. 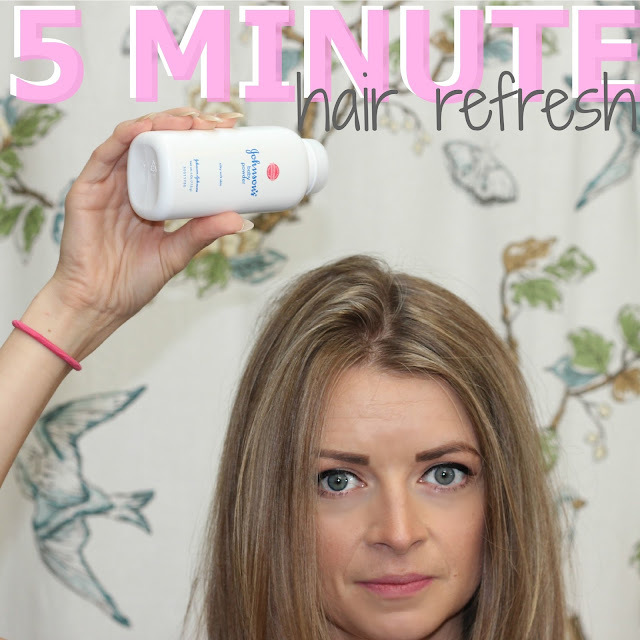 one of my daily saving graces is a quick hair refresher thanks to Johnson's Baby Powder. a light powdering of hair at the roots absorbs oil and leaves hair smelling fresh. 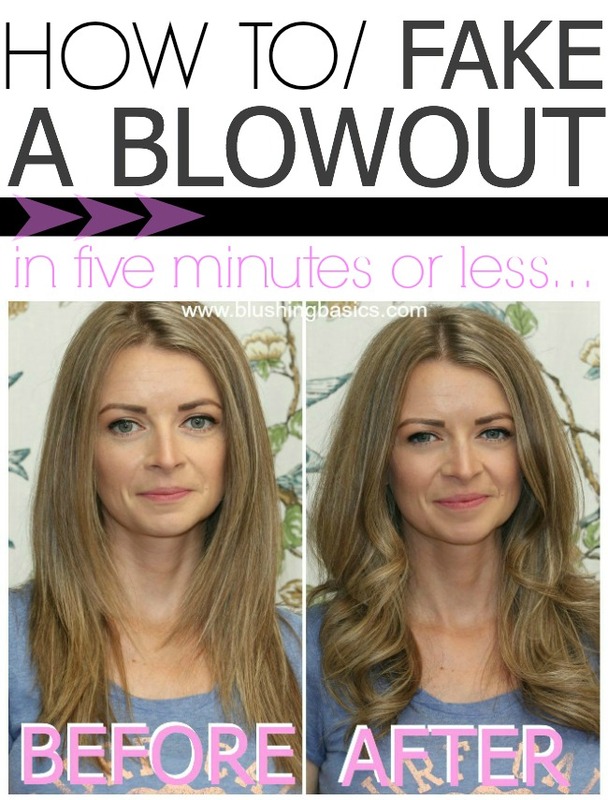 but my favorite part of the transformation is faking a blow-out. second day hair is flat and life-less but faking a blow-out is so easy and quick. 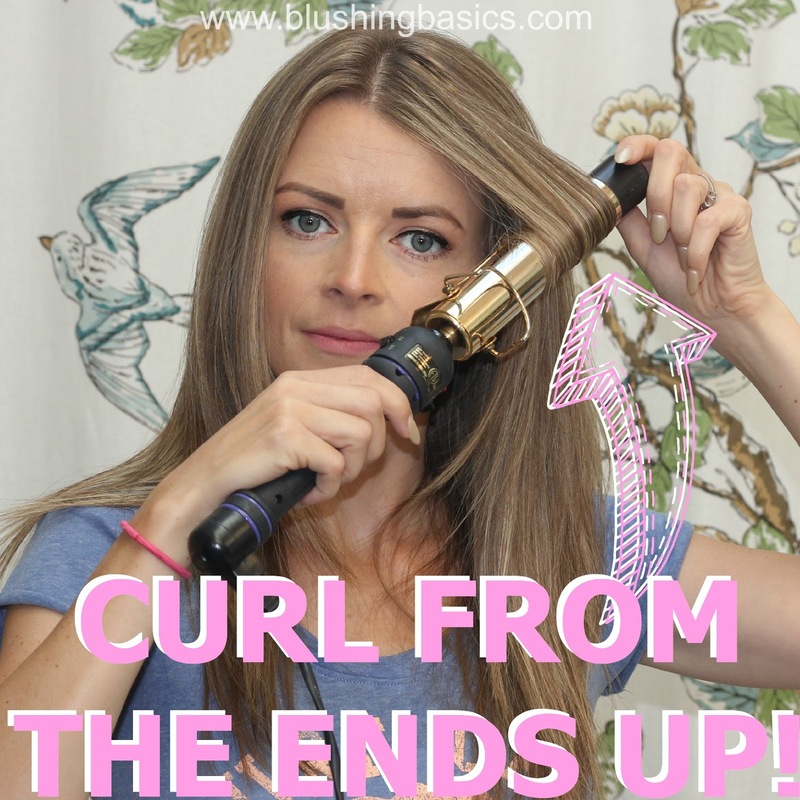 follow the directions below on how to fake it ('til you make it!). apply a light powdering of Johnson's Baby Powder, brush through hair to refresh. finish by using a large barreled curling iron i quickly curl my hair beginning at the ends and working my way up. five minutes later i'm a new woman! another quick tip from the Johnson's baby line is for those moments where you dress and realize your legs are exposed and you haven't shaved in a week. don't judge - we've all been there. apply a dime sized amount of baby oil gel to your legs and get a quick dry shave in a matter of seconds while avoiding razor burn and leaving your legs silky smooth. i am a stickler for clean and baby shampoo is my favorite product for cleaning my makeup brushes and products. for a tutorial on how to clean and sanitize your makeup brushes, click here. Baby powder - really. That's a smart trick. Thanks for sharing. Your hair looks great.